Guest post from Paul Hudson of FlexMR. Paul Hudson, CEO & Founder of FlexMR, a research agency based in the UK. Paul has over eight years of market research experience. 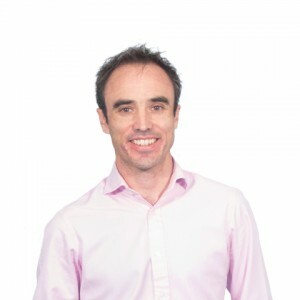 A regular guest speaker at AQR and ICG events, Paul is an experienced online qualitative research who is actively involved in developing new research techniques for online application. Here Paul shares his insight and findings from a career of market research, and what researchers should bear in mind when engaging online participants. I am a firm believer that engaging participants lead to better market research. It sounds obvious, and no-one, that I know of, would disagree. But what seems so simple is something that is often overlooked or ignored. We must, as researchers, recognise that traditional methods of engagement are no longer effective. As more research is conducted online, researchers and participants become more distant. There is no longer a face to face connection, and little common ground to build a strong emotional connection. So, when working with new clients and new participants, I try to take a step back and ask a few basic questions. 1. Why is this participant interested? The obvious answer is the reward – but this is not always the case. People are complex social and emotional creatures, and by stating that all participants are motivated only by the end reward is a gross oversimplification. When I think about what I want to achieve, it is to make my voice heard. To have an impact on the world and how it works, to make it a little better. In fact, our research suggests that 27% of participants agree and are motivated by a desire to bring issues to a company’s attention. Rarely would I complete a survey (or any research) just for the reward. If I want to give feedback, it is because I care about that product or service and I want to see it improved. 2. Which participants are most valuable? It goes without saying that some of these participants will be more valuable than others. But the exact motivations you want to target will be different depending on the research method and topic. For example, when setting up research communities I tend to look for participants that are socially motivated as they will actively take part in discussions. Participants driven by the desire to promote themselves are also incredibly useful in research communities, as these will be more likely to start conversations and act as the catalyst for engagement. Of course, I realise that there will never be a perfect solution, and it can be hard to understand participant motivation prior to the start of the research. However, by careful consideration of screening questionnaires and monitoring participants throughout the process, you can learn to develop effective techniques for identifying engaged customers. 3. How can motivations be used to drive engagement? The last question I tend to ask, is how these motivations can be used to my advantage. In an online era, this is even more important than ever. From the language used to engage participants, to moderator interaction – the approaches should be varied and diverse. To give a recent example, I have recently encountered a few participants who had a particularly bad encounter with a brand. It soon became apparent that their motivations for taking part in the study were to vent at the brand. While I believe that negative feedback can be a positive force for organisations and researchers that take heed – a participant driven only by providing negative feedback can be dangerous to the group dynamic. Thus, our approach was to expand on the research, and use individual research techniques with this particular group. By providing the opportunity for one-to-one longitudinal feedback, the participants were able to direct their more emotive responses towards the organisation in a more appropriate setting, and became more constructive in the group setting. But this is only one example of how effective participant engagement, through understanding motivations, can be achieved in the online era. Throughout my career I encountered many more – each an interesting and unexpected dilemma. The more research I am involved in, the more I realise that there are no quick or simple solutions. To conduct insightful research requires a deep rooted understanding of the human condition. But by starting simple and identifying research motivations, and using the flexible tools that the internet provides, it is possible for researchers to streamline and significantly improve participant engagement.